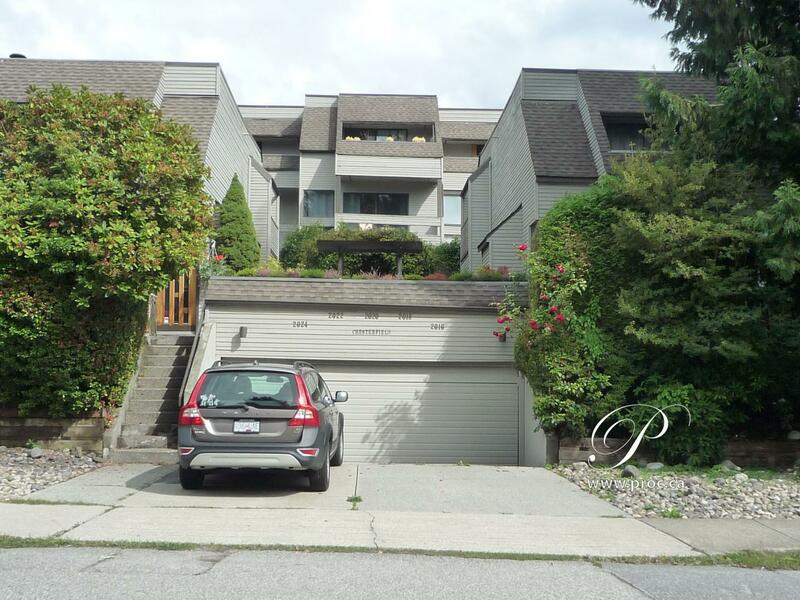 Free standing three bedroom townhouse in a convenient Central Lonsdale location. One of five units in a unique boutique style complex with direct access to the street from your own front door. Spacious main floor with a wood burning fireplace in the living room, separate dining room and skylights in the kitchen. Two bedrooms upstairs with a two piece ensuite. Third bedroom down plus a utility room and access to the garage with a huge storage space. Newly painted interior and in move in condition. Relaxed self managed complex. Easy to show.